Online poker has gained a lot of popularity in recent years, to the point of having more players engaging in this game than in golf. It is constantly growing and more people are joining this game by the day. Due to its high demand, when every other person is playing online poker to win money, you start to question- Is it still worth playing this game anymore? There are too many ace players in the online world and money on the stake too, you need to be careful of your decisions and the games you pick. However, questioning the game itself is a little extreme. Online poker is not only a great way to pass your time, but you can play poker to win money too, a hefty amount at that. What is the best and most obvious advantage of playing online poker? You do not have to go to any casinos or clubs to play poker. You can sit at home and enjoy this beautiful game while earning money. You also get to play with different players from all around the world which is not an option when you are playing in person. This way you can choose your game according to the strengths of the opponents playing the game. There is a thrill that you get while playing this game. Whenever you are anticipating the opponents move, whether you are winning or losing, you get an adrenaline rush like none other. The feeling of accomplishment that you get when you successfully bluff the other players and win a losing game is incomparable and satisfying. This game keeps you entertained and engaged even when you are bored or unhappy. This is why it is so popular among people worldwide. Money is an added bonus to this game. You can earn big amounts of money without much effort. If you want to earn a little extra pocket money, what better way than to entertain yourself with this game and earn at the same time? Have the population who engages in this game is only looking for fun, even though money is always welcome. This game acts as a great stress buster for people who have stressful jobs. People love online poker because they do not need to invest all their time and resources to enjoy a game or two and have fun. Online poker has many different types of games and game formats to suit everyone. If you get bored of a single game, you can move to another format and enjoy it. This is the reason for playing poker online never gets boring. Cash Games: These games are the traditional poker games which let you play for cash money. Tournaments: You can buy a stack of chips and play against opponents in a tournament. If you lose all your chips you lose. The person who collects everyone’s chips wins the tournament. Sit and Go games: These are smaller tournaments and are fast-paced and exciting at the same time. 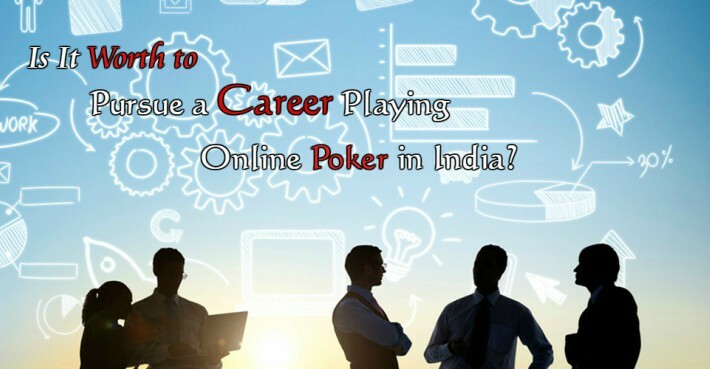 These are the reasons why online poker is so popular among players worldwide and definitely worth playing. It is a game which will never go out of style and continue to be a favourite among people. If you love a thrilling game and want to make a little money on the side, what better way to do it than by playing online poker?